It revealed plans to connect 10 million homes to ultrafast broadband by the end of 2020 and raise the minimum broadband speed for homes that cannot get fibre to 5-10Mbps (megabits per second). The letter said it was time for “radical reform” and called on Ofcom to ask the Competition and Markets Authority to undertake a full market investigation of BT. Ofcom is in the process of considering whether BT Openreach, which runs the telecoms network, should be separated from the rest of the firm. Hitting back at critics, BT’s chief executive Gavin Patterson said his firm could cement the UK as the G20’s leading digital economy. “We want to forge an ultrafast future for Britain and stand ready to help government deliver the broadband speeds necessary for every property to enjoy modern day internet services, such as high definition TV streaming and cloud computing,” he said. Ofcom has just published its latest data on the volume of consumer complaints among broadband providers. Although BT saw its complaints fall, it still generated more than the industry average. Sky had the smallest number of complaints, followed by Virgin Media. EE generated the most complaints for broadband while TalkTalk’s complaint volume increased. Plusnet also saw a reduction in its complaint volumes but also had more than the industry average. 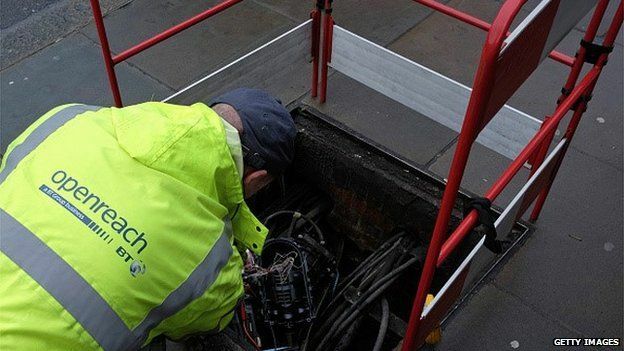 “It’s important that BT is looking to help address the growing needs of broadband users who rely on its network, and we welcome the company’s commitment to provide ultrafast broadband to 10 million premises,” said a spokesman for Ofcom. After a year of rumours, speculation and ever-mounting evidence, Apple has finally unveiled the iPhone 6S, alongside its bigger sibling, the iPhone 6S Plus. As expected, the new iPhone comes in a new Rose Gold colour and also offers 3D Touch, but there are lots of other new features, too. Read on to find out more about the iPhone 6S, including the iPhone 6S release date, pre-order date, UK price and all of its new features. iPhone 6S release date UK: When is the new iPhone coming out? Following its 9 September launch, you’ll be able to pre-order the iPhone 6S and iPhone 6S on Saturday 12 September (that’s this Saturday!) from 8:01am, and it’ll be in stores from 25 September in 12 countries including the UK. It’ll be in 130 countries by the end of the year. iPhone 6S price UK: How much will the new iPhone cost? As suspected, the iPhone 6S and iPhone 6S Plus have the same screen sizes as their predecessors, with the 6S offering a 4.7in Retina display and the iPhone 6S Plus offering 5.5in. New to this new generation of iPhone, though, is the Rose Gold model, which adds to the Gold, Silver and Space Grey already available. The new Rose Gold matches the new aluminium Rose Gold Apple Watch, too. Apple has introduced a brand-new screen technology called 3D Touch, which lets you ‘Peek’ by pressing lightly, or ‘Pop’ by pressing harder. For example, if you’re browsing through your emails and see one you think might be interesting, you can ‘Peek’ to see what it says and if you don’t fancy responding right now you can let go to go right back to your emails without pressing back. But if you do want to reply, you can click harder to ‘Pop’ to the email, as shown above. Another example given by Apple is links. If someone sends you a link via iMessage or any other application, you can Peek at it by pressing lightly to see what’s on that web page. Let go and you’ll be right back in the app the link was sent to you in. And if you want to fully open the page in Safari, you can press harder to Pop into it. Other uses include viewing photos you’ve just taken within the Camera app, taking a Peek at locations within the Maps app by lightly pressing on an address and more. App icons now become shortcuts that let you choose exactly where in that app you want to go, a new feature tha Apple calls Quick Actions. You can press on the Camera icon to take a selfie. And you can press on the Facebook icon to quickly update your status or check-in without opening the app. If you want to call one of your favourite contacts you can press the Phone button (rather than tap it), or press the Maps button to get directions home, mark your location, send your location or search nearby. Multitasking is easier than ever with 3D Touch, too. You can press on the screen and swipe to scroll through the apps you’ve got open, rather than double clicking the Home button. 3D Touch works with a taptic engine for haptic feedback you can feel, just like the Apple Watch and the trackpad on the new MacBooks. That’s only the tip of the 3D Touch iceberg, particularly as third-party developers begin introducing the technology into their apps, too. Inside the new iPhone 6S is the new 64-bit A9 chip, as predicted. That chip is 70% faster than the A8, and 90% faster when it comes to graphics performance. We’re looking forward to running our benchmark tests on the new iPhone to find out how it compares with rivals. That A9 chip is paired with an M9 motion co-processor that collects health and fitness data to help the A9 run more efficiently and concentrate on other tasks. There’s also a second-generation Touch ID fingerprint sensor that’s up to two times faster. Just like the iPhone 6 and iPhone 6 Plus, the new models are available in 16GB, 64GB and 128GB configurations. Connectivity has been improved too. There’s now LTE Advanced and faster WiFi. The iPhone 6S has a 12Mp iSight camera, which is lower than many of the rumours, but it has more focus pixels for more better auto focus and it has new tech called deep trench isolation for accurate colour. As always with iPhones, we expect it’ll be amazing. Plus, the iPhone 6S and 6S Plus’s camera is capable of capturing 4K video. There’s a 5Mp front-facing camera, too, and the entire display can be used as a front-facing flash. New laws to give police and spies greater powers to monitor internet and phone use are in the Queen’s Speech. Downing Street said that measures in the Investigatory Powers Bill would provide the authorities “with the tools to keep you and your family safe”. It will “address gaps” in intelligence gathering and access to communications data which is putting “lives at risk”. But civil liberties campaigners claim it will pave the way for mass surveillance of UK citizens. Home Secretary Theresa May’s efforts to introduce a similar bill in 2012, dubbed the “snooper’s charter” by critics, were blocked by the Liberal Democrats. The new bill is designed to “maintain the ability of intelligence agencies and law enforcement to target the online communications of terrorists, paedophiles and other serious criminals”. Details of how it will work will be published in the next few days. It is thought likely to require internet service providers and mobile operators to log much more data about what their customers are doing, including data on who people call, text, tweet and instant message, what games they play, when they post on social networks and who they send webmails. The government has come under growing pressure to do more to respond to the fallout from the conflicts in Iraq and Syria and, specifically, the threat posed by British jihadists returning to the UK after fighting in the two countries. The police have long argued that their ability to track the online communications of potential suspects is heavily circumscribed and the the law is not keeping pace with advances in technology. But civil liberties campaigners fear it will lead to mass surveillance. Essentially the government wants to upgrade the law so that is can do all the things it used to do with the post and telephones with all the plethora of online communications that now exist. A review by the “Independent Reviewer of Terrorism Legislation” David Anderson QC will feed into this. The Bill will be very controversial. It is strongly opposed by many Liberals, and civil liberties groups, and the idea became even more controversial after the Edward Snowden revelations. “This is the return of the ‘snooper’s charter’, even as the ability to collect and retain data gets less and less workable. 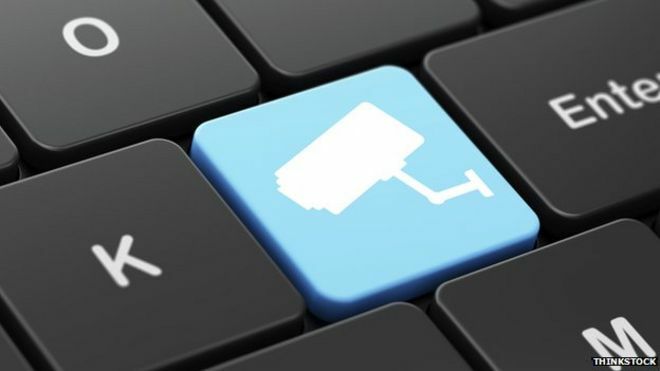 Renate Samson, chief executive of Big Brother Watch, said: “Whilst the title may have changed from a Communications Data Bill to an Investigatory Powers Bill it will be interesting to see whether the content has radically changed. The Investigatory Powers Bill is one of 26 proposed laws included in the first all-Conservative Queen’s Speech since 1996. The Conservatives are also proposing new steps to tackle extremism, including giving the home secretary new powers to ban extremist groups and allowing the authorities to close down premises being used to “support extremism”. It will also include more powers for watchdog Ofcom to take action against TV channels that “broadcast extremist content”. Downing Street said there would be “appropriate safeguards and oversight arrangements” and it would take into account a yet unpublished review of existing counter-terrorism legislation undertaken by the independent reviewer David Anderson. The online payment service PayPal has agreed to pay $25m (£16.1m) of fines and compensation in the US after being accused of deceiving its customers. A government watchdog denounced the company for adding new members to a credit-card-like scheme without making them aware of the fact. It also said PayPal had mishandled bill disputes, among other offences. The eBay-owned company has offered to settle the case, without admitting wrongdoing. A judge needs to approve the agreement for it to become legally binding. PayPal Credit is a delayed payment scheme, which allows users to spread out bills over several months, paying a monthly interest rate for the privilege. Members face additional fees if any of their payments are overdue. PayPal is accused of making the service the default option for new sign-ups without making clear that it was doing so. “Tens of thousands of consumers who were attempting to enrol in a regular PayPal account or make an online purchase were signed up for the credit product without realising it,” said Richard Cordray, director of the US Consumer Financial Protection Bureau. He added that some customers had discovered the fact only after being charged for late fees or having received debt-collection calls. In addition, the company is accused of failing to provide up to $10 worth of credit towards purchases, as promised in its adverts. “PayPal [also] failed to post payments properly, lost payment checks and mishandled billing disputes that consumers had with merchants or the company itself,” Mr Cordray added. The proposed settlement states that the company will set up a $15m fund to compensate affected customers and pay a further $10m fine to the bureau. “PayPal Credit takes consumer protection very seriously,’ the California-based company said in a statement. A spokeswoman for the UK’s Financial Conduct Authority said she was unable to comment on whether or not it was carrying out an investigation of its own. However, PayPal said it did not expect a follow-up probe. “UK members have not been affected by the issues raised in connection with this CFPB investigation,” a spokeswoman for the firm told the BBC. This is the second time PayPal has been penalised by the US government in recent months. In March, it agreed to pay $7.7m to the US Treasury following claims it had allowed payments that violated sanctions against Iran, Cuba and Sudan. In cases like these, wearables are designed to boost the health and general productivity of the employees, sometimes encouraging them to compete against one another online. That makes sense: a healthier workforce saves a company money in the long run. But elsewhere, such wearables are being used to monitor exactly how employees work. This year Chris Brauer of Goldsmiths, University of London, asked employees at London media agency Mindshare to wear one of three different activity trackers as they worked: an accelerometer wristband, a portable brainwave monitor or a posture coach. After a month, productivity had risen by 8.5 per cent and job satisfaction by 3.5 per cent overall. Most improvement was seen in employees who wore passive devices that collected data quietly rather than interrupting with ongoing feedback. “People recognise that effectively they’re on the clock, that they’re being tracked, and as a result they raise their game,” says Brauer. For example, a GPS tracker or wearable that travels with an employee outside of work could help paint a detailed picture of that person’s private life, such as whether they spend lots of time in bars. This was also shown in Brauer’s study, which found that the devices recorded enough data to make detailed profiles of individual employees: their lifestyle, exercise and sleep habits. “I think when you have monitoring capability, the obvious question is: where does your job end and your home life begin?” Caplan says. From a car that can self-park via a smartwatch to a device that allows you access to your car’s diagnostic information, BBC Click’s Jen Copestake tries some of the newest car technology. One million Micro Bits – a stripped-down computer similar to a Raspberry Pi – will be given to all pupils starting secondary school in the autumn term. It will include a new drama based on Grand Theft Auto and a documentary on Bletchley Park. The UK is facing a significant skills shortage, with 1.4 million “digital professionals” estimated to be needed over the next five years. The BBC is joining a range of organisations including the British Computing Society, BT, Google, Code Club and Young Rewired State to address the shortfall. Smartwatches that mirror the look of the Apple Watch’s hardware and software are being advertised on China’s most popular online shopping service. Alibaba’s Taobao site lists devices branded the AW08 and the iWatch. TalkTalk customers are being warned about scammers who managed to steal account numbers and names from the company’s computers. In an email sent to every customer, TalkTalk said scammers were using stolen information to trick people into handing over banking details. TalkTalk said it had sent the email to every customer although only a few thousand account numbers went astray. “Oh damn! I’ve forgotten it… again.” It’s a common phrase of many people when trying to enter their password. But while there might be a tendency to keep it simple and straightforward, the following list is enough to leave any keyboard wobbling with fear. Twenty-five of the most common passwords from the 3.3 million leaked online last year have been revealed by SplashData. The password management firm has been compiling the annual list since 2011. For the second year running 123456 and password were top of the pile.